How to set screensaver timeout to 60min? Vidcontrol does not work. Did you try to edit .xscreensaver and set timeout: 0:60:00? Works fine on i3. I don't have xscreensaver installed. I'm not sure is dwm handling it. Dwm needs to compile every time you make changes to it and I've installed it from ports, so I can't compile it. Maybe I should try another tiling wm..
Now I see what you mean by screensaver, you wanted to turn off the display power after 60 minutes. That can be done with xset and its independent of what WM you are using. To make the changes permanent add that command in your .xinitrc before the line with exec dwm. Speaking of dwm, it's too spartan and lack some features by default and without applying patches it's kinda annoying to use it at least for my taste, but when applying to much patches it break and you have to do it manually and that is time consuming and is not worth the effort. Thanks, good to know. I already moved from dwm to dspwm. Let's see is it better choice for me. Just for your information, it's probably DPMS that's switching the monitor off. hmm.. I don't have xset either. Is possible to set new timeout without xset or do I need to install it? It's that hard to install it? No. I try to keep my system minimal, but this seems to be needed widely. with fonts etc.. I'll install it. 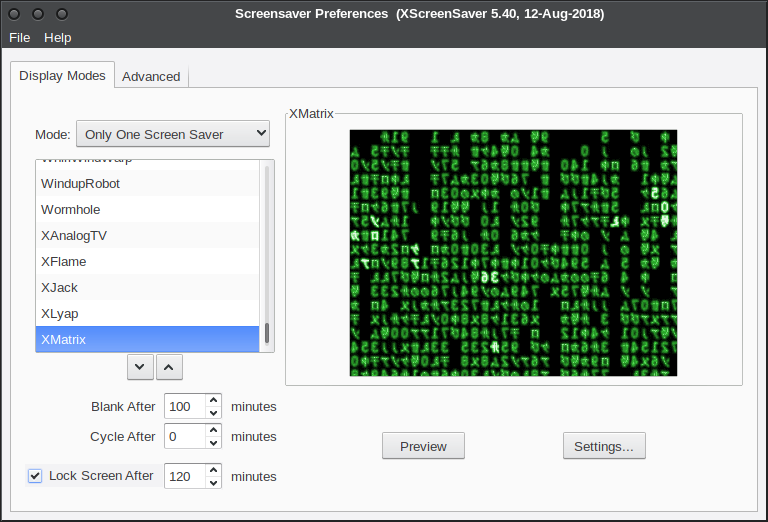 Installing x11/xscreensaver means extra stuff and he wants a "minimal" system, so the best solution it's with dpms (xset). You can probably do without xset(1) if you configure it in Xorg itself. But xset(1) isn't that big, and it's useful for a few other things too. Note that "0" in this context is the code for "never" and not for "0 minutes"